A few weeks ago, I was invited to perform at The Henry Hotel for Silka’s Say Yes to S campaign launch! That’s me in a dress playing the guitar! It was a pleasant afternoon of bloggers getting together and enjoying lunch outdoors. Now it’s my first time to visit The Henry Hotel, and I must say I am highly impressed! The hotel is charming, and it is such a respite from the hustle and bustle of the city life right outside its gates. I’d love to stay overnight and see the actual rooms, but alas my luck does not extend very far haha! I’ve recently worked on this exciting INTERNATIONAL collaboration (details of which I shall divulge by the end of the month) last week when I flew to Singapore! 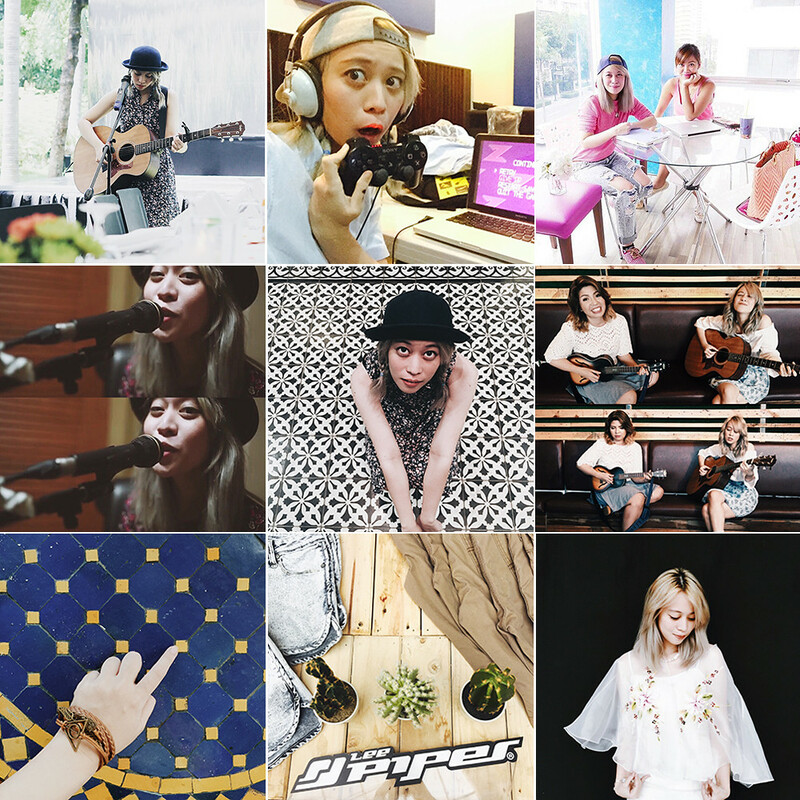 If you wanna follow my short adventure, visit my Instagram and type in the #HPx2 hashtag! Anyway, the photo above shows myself, holding a PlayStation controller, playing a very ancient Gameboy game on a Mac simulator. This was taken during our break from mixing and mastering my “secret track” for this “secret project” that I’ve been telling you about! You’ll soon know what it’s for, but as of now this is all you’re gonna get hahaha! I introduced my family to this new restaurant I’ve been seeing in Maginhawa (Provenciano) – and we finally visited to celebrate three of my cousins’ birthdays! It’s pretty, picturesque, classy, and comfortable! I suggest you try it out when you’re in the area. It’s this newly opened “house” with a kalesa by the driveway – you can’t miss it! Here I am posing in front of their beautifully tiled entrance. My good friend Kai Honasan and I got invited by Candy Magazine to do this live acoustic session that they’re calling Candy Jams. Cute, right? I think we’re the first performers for their new segment, so we’re doubly honored! I’m excited to share our videos with you guys! Here’s my wrist, donning a “Harry Potter” themed bracelet that I “won” from Cubism Family’s 9th anniversary gig. I’m sure you can’t see because the photo is fantastically hi res, but it has the Deathly Hallows symbol, a brass owl, and a pair of wings to represent the Golden Snitch. Even though it isn’t official Potter merch or anything, I’ll take anything bearing the HP initials. Sold. Towards the last week of July, I got invited by Lee Pipes to perform for their super fun event, #BeFestivalReady! Held in SM MOA, it involved designing and DIY-ing your Lee Shirts with custom cuts, printed pockets, iron-on patches, and the like! I’ll post a separate entry for it (cause I made my own fabulous cropped top haha) so just wait for it patientlyyyy! Lastly, here’s a dramatic photo of me showing off my new Filipiniana – by Filipiniana, meaning the traditional costume of the Philippines. It was our church’s 40th anniversary and everyone was required to wear our national costume. Needless to say, it was a time for everyone to go the extra mile. I would’ve loved to wear this old Patis Tesoro Filipinana I put on way back in 2011 for the LSAA Awards, but this butterfly sheer capelet thing I have going on is a chic and modern alternative. Yep. I said chic. That’s it for the tumultuous month of July! SEE YA NEXT MONTH HAHAHA jk 1/2.